The screens are IG screens. The ground texture is not the one, which will be in use. But you can also see the problem with this approach: Small meshes -> small leaves, large meshes -> large leaves! In the resources from 2005/2006 we discovered 3 groups, where a new awe-inspiring approach was in use: The "Inn", the "Large Tree" and "Majere". Instead of using one texture for all leave meshes, various textures were created, for example for a center mesh, corner and side meshes. With this, larger leave groups were patched together with the advantage, that the size of the leaves stayed the same! 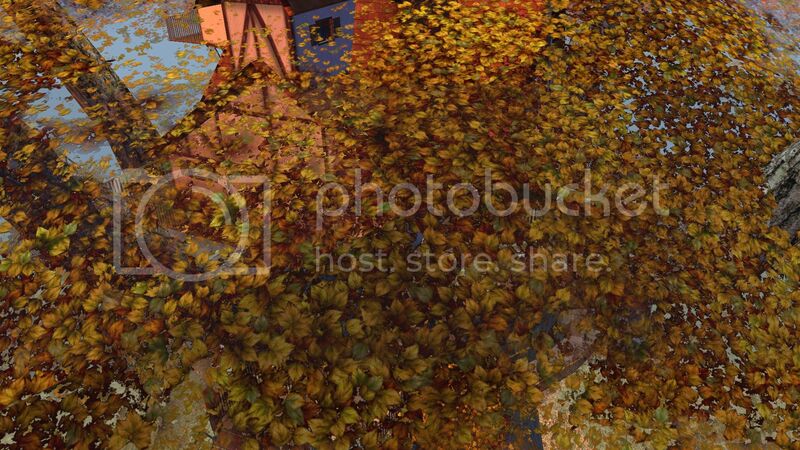 But, as you can see in the screenshot, this approach is not finalized: You can spot, where the different leave textures meet, because the leaves don't always match. Sometimes, the textures do fit together due to the very clever design to use parts from the main (center) texture in the adjacent parts (corners and sides), but then, very often they do not. And within these textures there were seams, where parts from the origin texture have been pasted together, clearly showing, that this approach was still under development / not finalized. DLA sadly stopped this project 2006. Since this last approach seemed to be the most reasonable one, we tried to carry on with this idea. The inner seams have been removed, the edges have been reworked in a way, so they fit, no matter which way they are aligned and additional variations have been created. So, what does this mean regarding the current state? 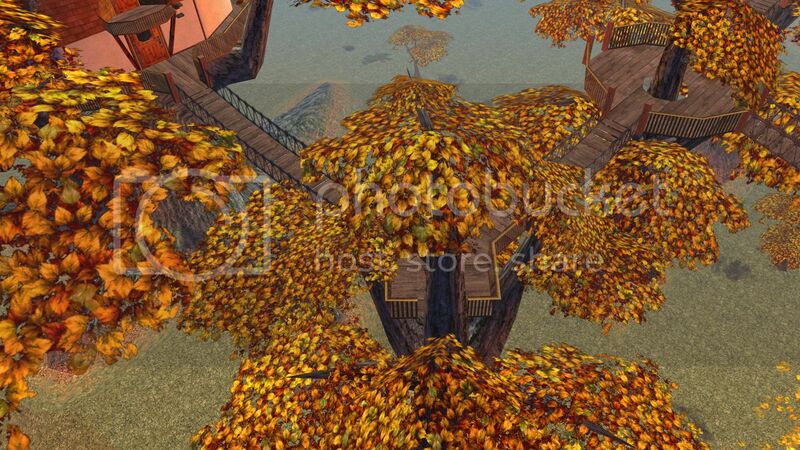 We will have to replace ALL leaves meshes in all groups and features. It has been accomplished on the "Trough" and the "Tika" group, so still a number of groups ahead of us!